Brett Katsma is the Director, Media & Analytics for the Feeney Law Firm. In this roll Brett is responsible for ensuring the organization and integrity of our client relations systems as well as directing and overseeing the firm’s online strategy and client outreach development. 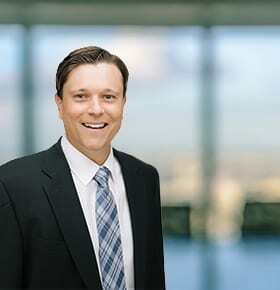 Brett’s outreach experience includes mesothelioma and asbestos exposure, dangerous drugs, dangerous medical devices, work-related injuries, stockbroker fraud, financial advisor misconduct, corporate mismanagement or misconduct, merger or acquisition stock devaluation, consumer protection and whistleblower claims. Brett’s knowledge of multiple online channels enables him to determine the optimal ways to get the firm’s assistance into the hands of those who are most in need of help. Brett served as the Director of Online Media for a national personal injury firm prior to joining the Feeney Law Firm. In this role Brett managed the online media strategy for over 50 case types, including Asbestos, NFL Concussion, consumer protection, defective medical devices, and dangerous pharmaceutical drugs. Brett’s knowledge of the online marketplace, and people’s online tendencies allowed him to efficiently reach his intended audience for his firm’s message, generating thousands of signed cases. In his position, Brett also managed the firm’s client relations system which allowed the firm to stay on top of all their clients’ needs; keeping them informed and up to date on their cases. Brett is constantly trying to find new and better ways to communicate with our clients. In his career, Brett has spoken with hundreds of victims and this personal contact has helped him understand what our clients are experiencing. His desire to help encompasses not just those who have suffered a personal injury but also those in his local community. Brett has donated a significant amount of time volunteering across the country working to rehab homes in low-income areas and is also actively involved in youth programs.